Six months ago we began planning a trip which would revolutionize our travel style. 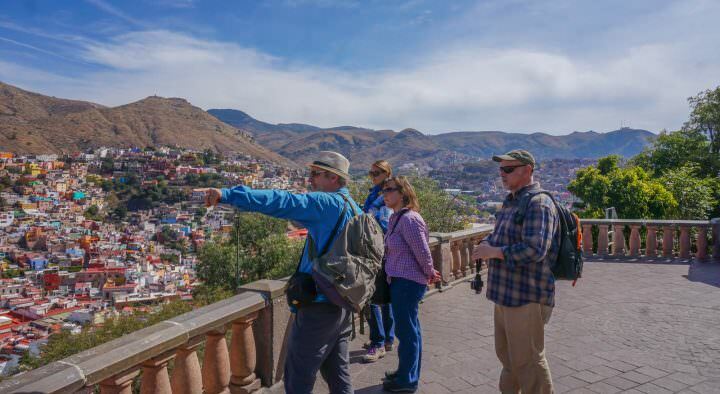 We wanted to plan our own trek, away from the normal routes, truly off the beaten path. 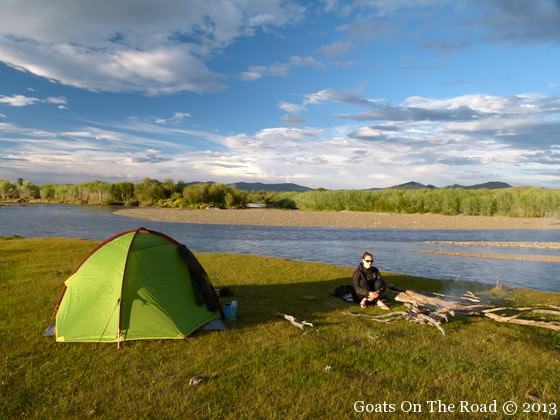 I started by seeking out rivers in Mongolia which were on flat terrain. The rivers had to have fish so that I could do a bit of fly fishing, and they also had to be far away from the tourist radar. 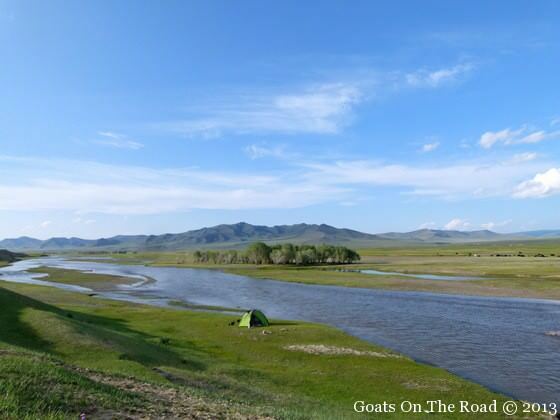 I searched google maps and found the Chulut River, in the Arkhangai Province of Central Mongolia. Tourists do come to Arkhangai, mostly to visit White Lake, but no one who we talked to had done the trek we were planning. 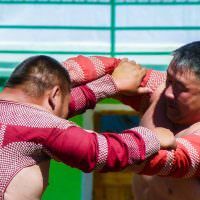 We wanted to take a private car to a sleepy, rural Sum (small Mongolian village) called Chulut Sum, where we would begin our epic trek northward along the Chulut River to Terkhiin Tsagaan Nuur (White Lake). 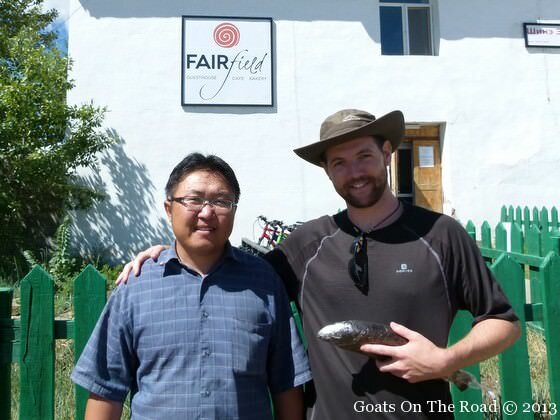 When we arrived in Tsetserleg (the capital of Arkhangai Province), we checked in at Fairfield Guest House and we are extremely happy that we did. The staff there was incredibly helpful and full of information. They even put me in contact with a local fisherman, Bayara, who helped with the logistics of our planned itinerary (although he thought it was crazy that we were going to walk the whole way!). After buying topographical maps from Fairfield and plotting out our final route, Bayara gave us a smoked fish for the road and even found us a ride to the small town of Chulut (which wasn’t an easy feat). We hopped in the car and we were on our way. Immediately after getting dropped off in Chulut Sum we realized just how “out there” we were. Everyone seemed very interested to see foreigners and I’m sure they all shared Bayara’s concern for our sanity when we told them how far we were walking. We were only able to walk about an hour or so that first day before the rains closed in above us and we had to set up camp, a routine that would foreshadow what was to come for the next 8 days. Our First Camp – Look At Those Clouds! That first night we had two families pay us a visit. The first, lit us a fire and offered us a large bag of very strong cheeses (which we had a hard time eating to be honest) and a big tub of homemade yoghurt. They also invited us to come to there ger (traditional nomadic home) for breakfast the following morning. The second family came by on a motorbike and gave us a bundle full of fire wood and we reciprocated with some Canadian stickers, which the father promptly stuck to his motorbike. This daily ritual of Mongolian visitors bringing us gifts each day was a welcome surprise. We hardly slept a night on the steppe without at least one family bringing us some sort of offering. 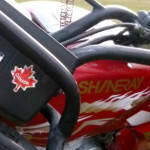 Each time we would give a Canadian sticker in return, so if you ever go to this region in the sticks of Central Mongolia, you’ll probably see a lot of motorbikes with Canada stickers driving around! Our Second Round Of Offerings… Fire Wood! This was to become the norm for us on this amazing journey. Each day we would walk for a few hours, stop to avoid the rain, and then when the sky cleared, a smiling local family would shower us with gifts of cheese, biscuits or firewood. We were invited into numerous gers where we were offered more cheese, arag (fermented mare’s milk), horse meat, breads and snacks. This part of the trip was a great bonus that we didn’t really expect. The authentic experiences we were able to have with the nomadic families in the region are something we are very grateful for. We had expected beautiful views, but we really couldn’t have been prepared for just how stunning the Mongolian steppe was. Even under the dark clouds above, a sliver of sunlight would pierce the clouds and we’d be rewarded with a panorama of electric green rolling hills that seemed to stretch on forever. 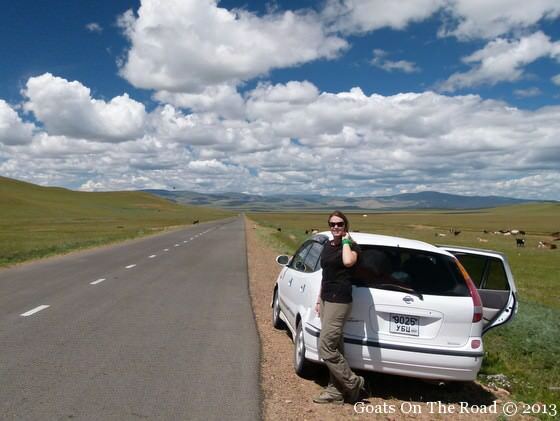 We were in complete awe of the majesty that is the Mongolian countryside. You simply can’t explain its vast beauty. In the afternoons, after we had set up our camp, I would do a little bit of fly fishing while Dariece would sit out and watch me, while reading books on her new Kindle. It was amazing to be casting my line with nothing but a flat grassland behind me, onto a rushing river full of fish. For the first couple of days, nearly every cast was a hit and I landed plenty of small fish (we ate one Lenok – delicious!). Fishing The Chulut River – What A View! There was one particular evening, when the rain had completely cleared and the sun was dipping into the horizon, slowly painting the clouds a lucid pink. I was casting my line on the mirror reflecting waters in sheer silence when I looked up and there was a brilliant rainbow gleaming over our camp. That moment was pure perfection and it will stay with us forever. Unfortunately two things were against me on this fishing trip. Firstly, I had expected to be able to buy larger flies in Tsetserleg, but there were none to be found, so I was essentially fishing for small fish with small flies (the big fish take mouse patterns!). Secondly, the daily rains ended up flooding the river by the third day, making it very difficult to attract any fish through the muddy waters. But it didn’t matter to me, just casting and hearing nothing but horses naying and goats baaing in the distance was a fly fishing experience I will not soon forget. Nearing the end of our journey we were getting pretty tired. We had had quite a bit of rain and although our tent was 100% water-proof (thank god), the relentless pounding made it hard to sleep. Every day, when the sun would shine in the morning, we were rejuvenated and energised by the extraordinary journey we were on, but slowly we were running out of gas. Our feet were blistered and our bodies were getting sore. 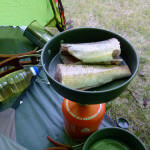 Eating freeze-dried meals and trail mix was loosing it’s novelty and we were craving a soft bed and a cooked meal. Also, coming straight off of a 6 day Gobi Desert tour, we’d literally had one shower in 2 weeks! That River’s Too Cold To Bath In! So, on the 8th and final day, we walked our asses off! We walked for 44 km, as soon as we reached Tsuman River we hiked along it non-stop until we reached Tariat. An exhausting 44 km in one day over rocky hills! It was intense and our feet were almost falling apart at the end. We came over one hill (after walking for 20 km) and we could see Tariat in the distance. We thought “not too far now!”. But the town was actually still over 20 km away and we just kept going and going, following this mirage like cluster of buildings on the horizon. When we arrived in Tariat (a town on White Lake) we were completely spent. We bought a bunch of food from the store and found a (slightly dingy) hotel where we basically just vegged out on the bed. A BED! it wasn’t comfortable but it felt better than the 2cm thick sleeping pad we’d been crashing on for the past week. That was it, the most amazing trek we’d ever done was complete. The Exhausting Final Day – 44kms! The trek itself was more than we could have imagined. We met so many friendly families, watched semi-wild horses stampeding past us, we navigated our way through rivers and over hills, through herds of yak and goat and sheep, fishing and camping the entire way. It was absolutely incredible. The rain was relentless, and although it pissed us off at the time, it really didn’t ruin the experiences that we had along the way. This trip was ours, and ours alone. We planned it and executed it to perfection and we were both really proud of what we had accomplished. This was no “trail” or “tour”. 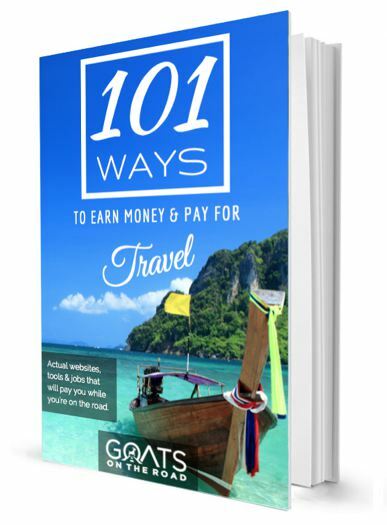 It was just us from conception to completion, the ideal adventure for the Goats On The Road and we’re so happy that we made the effort to do this, and now we can share our experiences with other people who want to trek in this amazing country. 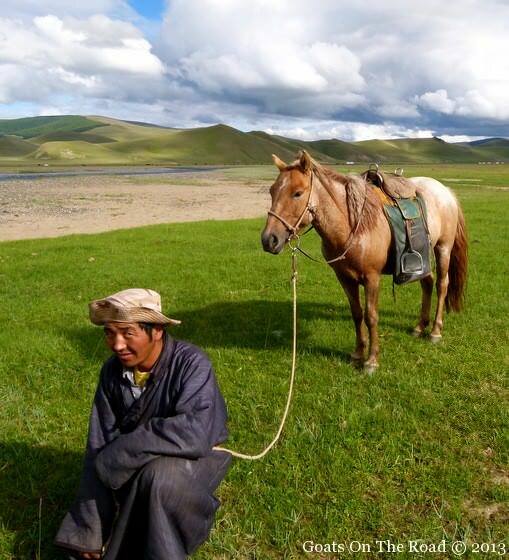 Mongolia is all about the nomadic lifestyle, and after this trip, we feel like we’ve lived it. 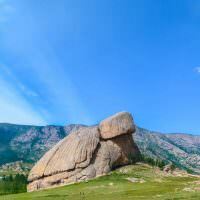 For more information on travelling to Mongolia, check out our Backpacking Guide to Mongolia. Everyone Likes A Video… Check It Out! Looks like u had a great adventure.Love the article… l just gotta get back out there soon! Thanks a lot! It was great to be back into the outdoors again. Beautiful trek you have under your belt. Loved,loved, loved the rainbow! I know it was all worth it, and I sure hope you got that hot shower for your reward after 40km in one day…wow! The rainbow was the best way to end that day, it was so beautiful. We had a great time, but unfortunately after 40 kms of walking, we were only rewarded with a so-so bed and a sink with cold water! haha. Our amazingly hot, glorious shower and room had to wait until we were at the lake. 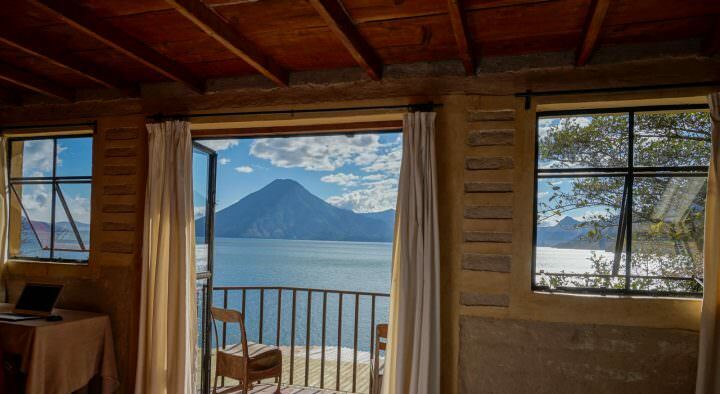 But seriously, we absolutely loved our time in your backyard (and at your guesthouse) and would love to come back and do some fishing together!! I’m a little late on seeing this, but nice post! Mongolia is definitely a place I plan to visit in the future. Now you got me itching to go! Thanks Sadie! You may be late in reading the post, but it’s never to late to go to Mongolia 🙂 Such a fascinating country. As a Mongolian, I am really happy with the fact that you enjoyed your time in our country. Come again and again to experience the kindness and hospitality of the descendants of Chinggis Khaan who once united most of Eurasia and brought PEACE and order to the Eurasian plateau. This is terrific. 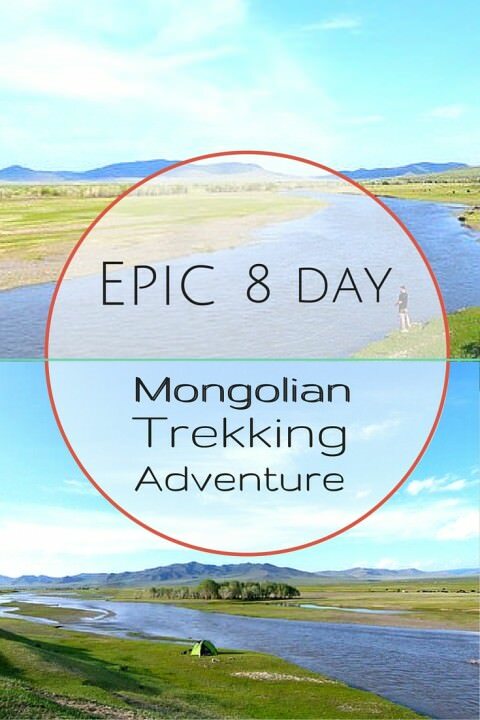 I’m planning a solo trek in Mongolia and miraculously came across your site, which puts my ideal trip into clear relief. Thanks! 2. Did you consider any other river treks before you decided on this one? Just curious as I do my own planning. Thanks again for posting such great stuff. 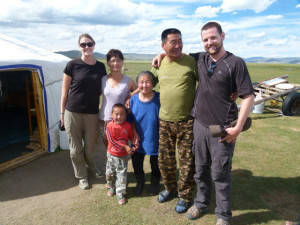 We were in Mongolia in July / August. We had a lot of rain, which was unusual! Hi Jeff! 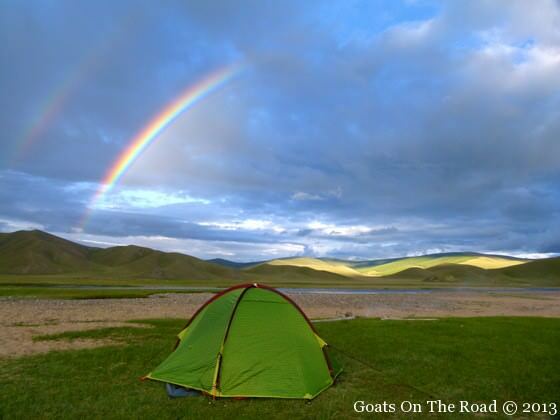 Sorry to come out of the blue here… Like you I came across this awesome sight and article/website after deciding I wanted to head to Mongolia. I desperately want to do a trek like this, but unfortunately I only have 10 days in total to spend there and doubt I’d be able to make this particular trek and make it back to UB in time to catch my train!. I see you posted in Jan and I was wondering if you have found anything yourself yet, and would be willing to share this info? Sorry I know this is the cheats way out but I’m finding that planning this thing really hard! PS: This blog is amaszing! All those information! 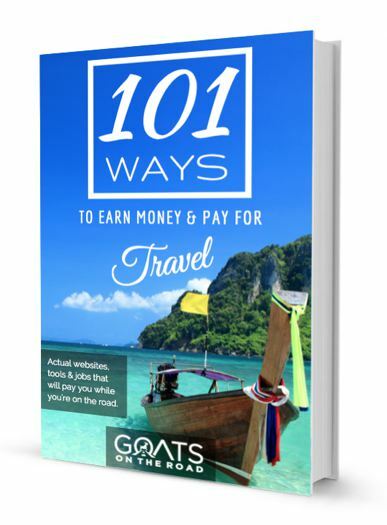 U think it would be safe to do as a solo female traveller? Hey guys, love the blog! 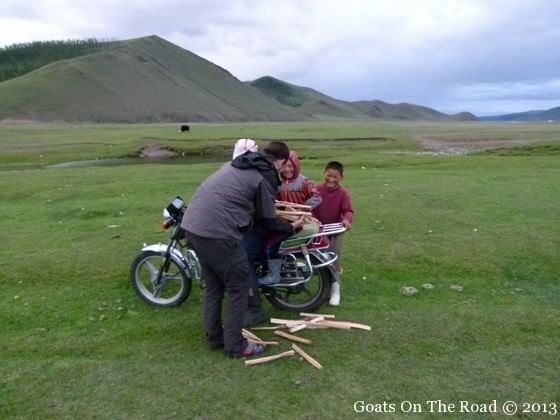 We’re hoping to do something similar when we reach Mongolia in a few weeks. Would be useful to know how long the total hike was and how many km’s you managed in an ‘average’ day (taking rain into consideration!). Hi Sarah, It was about 125 Kms total. One day we walked for only 1 hour. The last day we walked for 44kms! The trek was 8 days total. Nice! What were the rules with fishing? Did you need a licence?